As seen on KITV. View HERE. 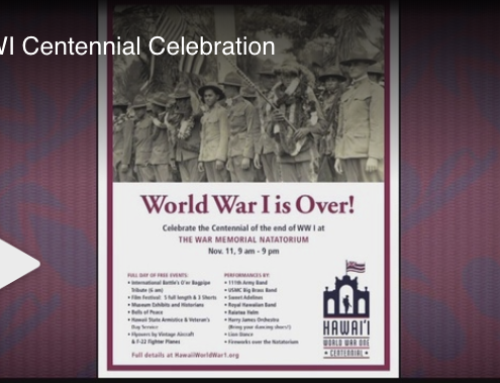 Waikiki’s Natatorium is a monument to the Great War, and now it has a new Centennial Memorial Plaque marking the 100th year anniversary of the end of World War I. 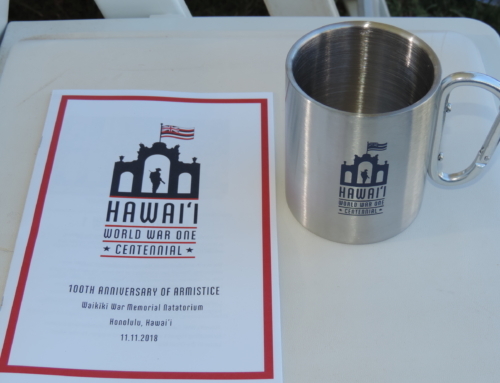 The plaque was unveiled at the Waikiki Natatorium on Friday, surrounded by veterans, active-duty military, and community members. 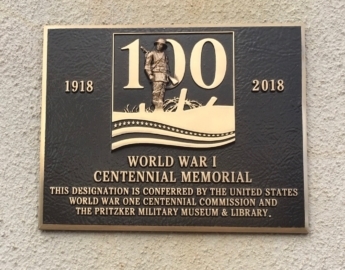 “The plaque is significant because it marks the first stage of our observance and commemoration of Armistice Day,” Daniel Martinez, Chief Historian, Pearl Harbor, said. It’s one of 100 memorials around the U.S. that were honored with the distinction, thanks to the 100 cities/100 Memorials Program. 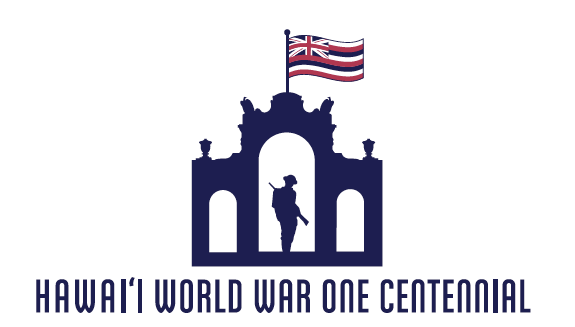 “It recognizes the Hawaii War Memorial and Natatorium as one of the hundredth and most important war memorials dedicated to the soldiers who fought and served in the first world war,” said Curtis Manchester, a retired Lieutenant Colonel with the U.S. Army Reserve. 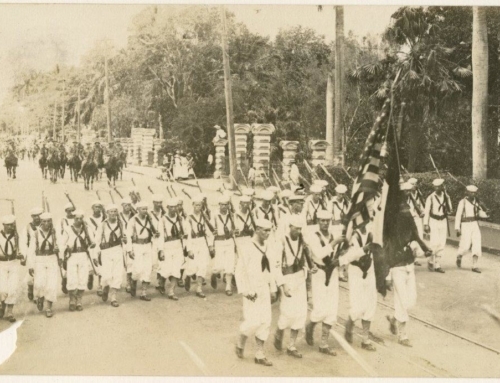 Out of over 2 million American soldiers who served, nearly 10,000 came from Hawaii. “Many were deployed to Europe, some served here in the Pacific in Asia, one of the lesser known periods in that war. Almost 300 did not come back. 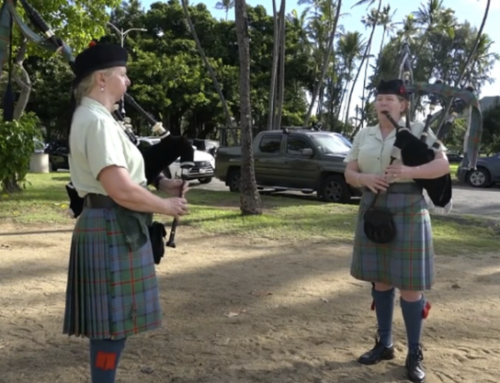 They gave that ultimate sacrifice for their nation and for the state of Hawaii,” said Manchester. 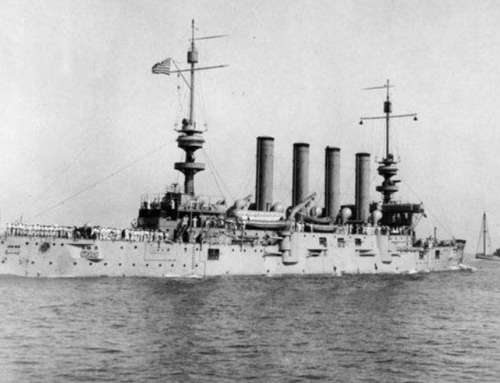 The 100 year anniversary of the end of WWI Will be commemorated on Veteran’s Day on November 11. “There was so much sacrifice given by so many for what was thought to be the war to end all wars. Here we are today in the place where WWII began for our country,” Rep. Matthew LoPresti, said. “Also a bell ringing at Pearl Harbor of the U.S.S Arizona’s bell. At 11:00 throughout the country, that time will ring in. There will be 25 rings, they’ll be 5 seconds apart and it will be the U.S.S. Arizona’s bell,” Martinez said. As a part of next Sunday’s Commemoration Service: Bagpipers, a WWI film festival, concerts, and fireworks.